SeaWorld is being thrown a golden lifesaver that could pull it out of its PR nightmare, and overhaul their Orca shows -- and Tilikum, the park's most infamous whale is at the center of the deal. Steven Dunn -- CEO of infant and toddler toy company, Munchkin -- sent a letter to SeaWorld last month offering $1,000,000 to help fund an ocean sanctuary for the Orcas currently in captivity. According to the letter, the plan is to build a sea pen in natural coastal waters, where the whales can have more freedom, but still be seen by visitors. 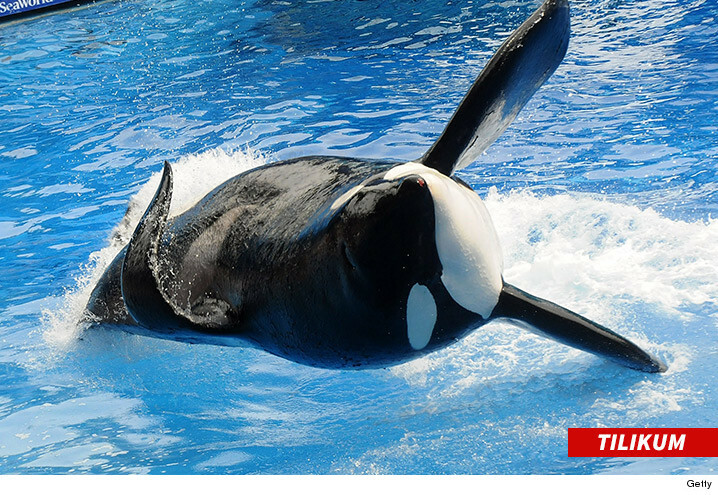 But Dunn says Tilikum -- whose plight was chronicled in "Blackfish" -- is a deal breaker. He's concerned Tilikum, who is older and seldom seen in public anymore, would be left behind -- so Dunn specifies Tilikum be moved to the sanctuary upon completion. SeaWorld recently announced it would end the Orca shows in 2016, and open a new "experience" in 2017. It's unclear if that has anything to do with Munchkin's offer, but the timing could be perfect. We reached out to SeaWorld ... so far no word back.